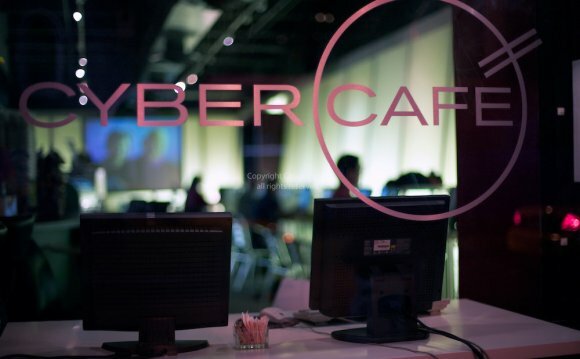 Cops want to fold illegal “sweepstakes cafes” that offer patrons cash prizes as they play online games. Officers have been ordered to notify the NYPD’s Organized Crime Control Bureau when they find such cafes, which have been popping up in Brooklyn and Queens. Detectives visit the joint to see if it’s breaking the law — but the line is blurry. NYPD’s Organized Crime Control Bureau wants to crack down on sweepstakes cafes. At such cafes, customers pay to play Internet games — and winners get additional game time or long-distance telephone minutes. Online gaming that pays off in cash sweepstakes is illegal, say officials. But as they play, gamblers are automatically entered into online sweepstakes that randomly pay cash, officials said. And that appears to be illegal. The sweepstakes cafes are a “new illegal gambling trend similar to Joker Poker (machines) or electronic slots, ” according to an NYPD memo from Oct. 18. The city has already taken other steps to rein in these reputed dens of iniquity. In May, the City Council passed a bill to allow the Department of Consumer Affairs to yank the license of any cafes caught giving out cash prizes.